Epirus is a western region of Greece, which has Albania to the north, coast of the Ionian Sea to the west, Athens being 3 hours and Thessaloniki being 2 hours away. Flights from both cities to the local airport of Ioannina are under an hour, so it is easily accessible. Although Epirus is a large region, split into a number of areas, the road system is excellent, plus it has a regular and efficient bus service. Most visitors to the region base themselves in one venue and then have day-trips to explore the vast number of things to see and do throughout the wonderful scenic and mountainous landscape and countryside. There are many types of accommodation in the region, mostly small hotels and guest houses, not large hotel chains, but that makes the experience even better, as visitors feel they are getting a ‘real’ feel for the region and country. 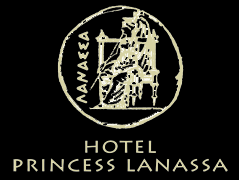 The Hotel Princess Lanassa, is in the village of Kostitsi, Tzoumerka, Epirus, which is in the southern section of the region, being only half an hour from Ioannina and under an hour to the Ionian coast. This hotel is a family run establishment that looks and feels as if it was built out from the mountain and not constructed on it, in fact it has been awarded a certificate to its ‘eco construction’ credentials. It has comfortable rooms, chalets, authentically designed restaurant and plenty of outside areas which include a pool, pool bar, football pitch, play area, tennis court and seating areas. It also has a gym, sauna, spa, conference room, etc. One of the most appealing factors of staying at the Lanassa is the fact that the family owners, also run it and that comes across in every aspect. The feeling of being a part of the family and not just a guest is heart-warming. The food is grown and prepared locally, some on site, especially the amazing jam and variety of teas, so eating there is a gastronomical delight. Guests could just stay at the Lanassa and enjoy their facilities and services, such as Yoga, Cookery Classes, Spa Treatments, etc., and they would have an amazing time. There is so much to see and do (which can be arranged for all guests) it would be a shame not to explore the surrounding area. The area is dominated by the Pindus Mountain Range, which are known as the Greek Alps, so the activities that guests can do are endless; hiking, cycling, skiing, motor cycling, horse riding, sight-seeing and much more. A good place to start and to get the heart pumping, could be a short trip to the Arachthos River and do some canoeing, rafting or canyoning. All of them can be done at all levels of capabilities, so can be enjoyed by small children to the experienced individuals. There are a number of tour companies that cover the region but one of the best is Alpine Zone, as they organise many activities; Skiing, Rafting, Trekking, Canyoning, Biking, Jeep Safari, Horse Riding etc. Ionian Breeze is a Worldwide Yacht Charter company and suits first-timers to people with a lot of experience. 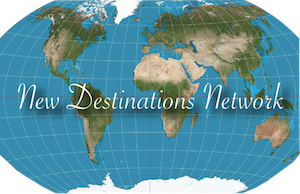 Crewing a luxury yacht, with professional owners (Eirini and Peter), but also other adventure seeking people too, is amazing for singles, couples or groups will make memories that will last a lifetime. If this sounds too much of an exertion, then why not take a short walk to the Chapel of The Prophet Helias, which is not only a great way to take in the sites of the area, but is a charming little church that has great views too, so makes the walk worthwhile. For the lovers of contemporary art, a must visit venue is that of Theodoros Papagiannis Museum, which is in the neighbouring village of Elliniko. They used his old junior school to build the venue, which adds to its significance and throughout there are amazing paintings, drawings, sculptures and pieces of art. This prolific artist is world renown and has had pieces displayed around the world, a lot of them are made be recycling discarded items. A couple of popular ones are; the snake, his ghosts and the bread-making collection. While in that village, a visit to Tsouka Monastery is advised, as it has a famous picture which was dedicated to the Nativity of the Mother of God, the bell tower, a cistern which has access to healing waters and many relics and icons. Another great reason to go there is the view, as it is built on the edge of the ravine, so gives an opportunity to see the stunning mountainous terrain and river below. A trip which is worth considering is going to see The Holy Monastery of Kipina near to the village of Kalarrytes. It is spectacular looking, as it is actually built into the side of a mountain, so its walls are flush to the rock face. It originally had only a wooden bridge for access and protection, but then a brick bridge was built. It once run a school and mill, thus having close contact with the community. Remaining in the building is the church with wall paintings and icons, plus rooms and stables. An interesting fact about the village of Kalarrytes is that it is the birth place of the original founder of Bvlgari and the nearby town of Syrrako is the birth place of Ioannis Kolettis, the first Prime Minister of Greece, so there must have been something special about the region? Ioannina is the capital and largest city in Epirus, being located in the centre of the region and having a busy Airport. It is situated on the beautiful and large Lake Pamvotis. Th cities dominating feature is the Castle of Ioannina, which is the oldest Byzantine fortress in Greece and dates back to the Hellenistic Period (4th/3rd Centuries BC). It as an ornate main gate and surrounding walls, plus two internal citadels (one being called ‘Its Kale’ or inner castle). It also has the Aslan Pasha Mosque, which now houses the Municipal Ethnographic Museum, Byzantine Museum and Silversmithing Museum. It has a café/restaurant, grassed areas and views of the lake and ‘The Little Island’(as it is known). The city is steeped in history which dates back to the Palaeolithic Period and includes the Ottoman Empire, Balkan War and the World Wars. It once contained a large Jewish community, who unfortunately were rounded up and murdered in Concentration Camps, but their influence is still seen today. It is not only a charming city and a vibrant one due the growing popularity of its University, so there are many shops, bars, restaurants, which cater for traditional and modern tastes. The whole region has many historical buildings and structures, Dodoni Archaeological Site (also known as Ancient Theatre, Sanctuary or Oracle of Dodoni), being one of the best. It used to seat 18,000 spectators and dates back to the 3rd Century BC, build by King Pyros (Pyrrhus) of Epirus. During the Roman Conquests, it was also used as an arena. Excavations started in 1875 and continue till today, so let’s see what treasures will be found there? The one attraction that visitors should not miss, is Vikos Gorge, which was in the Guinness Book of World Records in 1997 for being the deepest canyon in the world, measuring 900 meters deep and 1,100 meters across. To get to the best viewing platforms visitors have to go through the ‘stone forest’ which is an area with grass and trees, but dominated by volcanic rock formations that make it look very unique. This area is also famous for traditionally made arched stone bridges that span the many rivers and streams in the region. On the edge of the gorge is the Monastery of Agia Paraskevi, which has been abandoned for many years now, but remains in excellent condition. It was founded in 1413, has a small stone build chapel and obviously has amazing views of the gorge. There are several quality Wineries throughout Epirus as the soil and sunshine makes it an excellent region for the growing of the grapes. One of the best if Glinavos Winery, which produces a variety of wines and uses traditional and modern techniques to do so. A Wine Tasting can be arranged if pre-booked and is very worthwhile doing. Epirus is a lesser known region of Greece and that makes it a special place to visit. Visitors experience all things that they get from a Greek trip, such as the weather, food and scenery, but they get an added touch of uniqueness, culture and nature. Try Epirus as a destination, whether it be to spend a whole week or for just 2/3 days, visitors will be surprised and amazed by what it has to offer.